Weakly supervised semantic segmentation based on image-level labels aims for alleviating the data scarcity problem by training with coarse labels. State-of-the-art methods rely on image-level labels to generate proxy segmentation masks, then train the segmentation network on these masks with various constraints. These methods consider each image independently and lack the exploration of cross-image relationships. We argue the cross-image relationship is vital to weakly supervised learning. 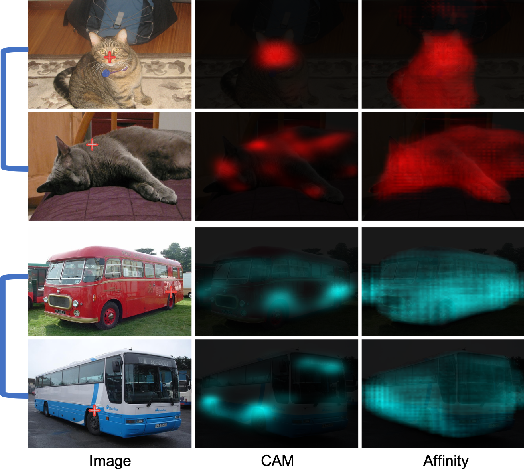 We propose an end-to-end affinity module for explicitly modeling the relationship among a group of images. By means of this, one image can benefit from the complementary information from other images, and the supervision guidance can be shared in the group. The proposed method improves over the baseline with a large margin. Our method achieves 64.1\% mIOU score on Pascal VOC 2012 validation set, and 64.7\% mIOU score on test set, which is a new state-of-the-art by only using image-level labels, demonstrating the effectiveness of the method. We have witnessed rapid evolution of deep neural network architecture design in the past years. These latest progresses greatly facilitate the developments in various areas such as computer vision and natural language processing. However, along with the extraordinary performance, these state-of-the-art models also bring in expensive computational cost. Directly deploying these models into applications with real-time requirement is still infeasible. Recently, Hinton etal. have shown that the dark knowledge within a powerful teacher model can significantly help the training of a smaller and faster student network. These knowledge are vastly beneficial to improve the generalization ability of the student model. Inspired by their work, we introduce a new type of knowledge -- cross sample similarities for model compression and acceleration. This knowledge can be naturally derived from deep metric learning model. 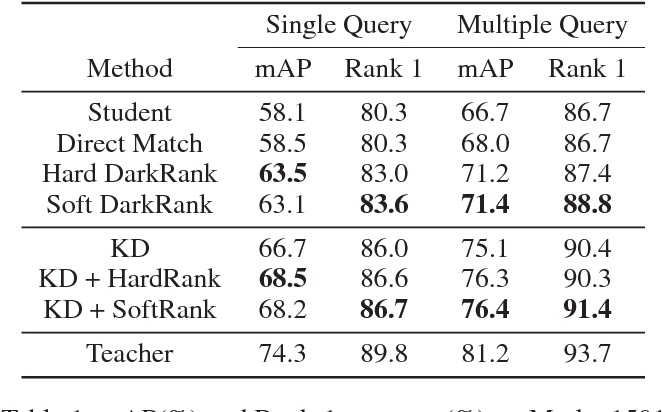 To transfer them, we bring the "learning to rank" technique into deep metric learning formulation. 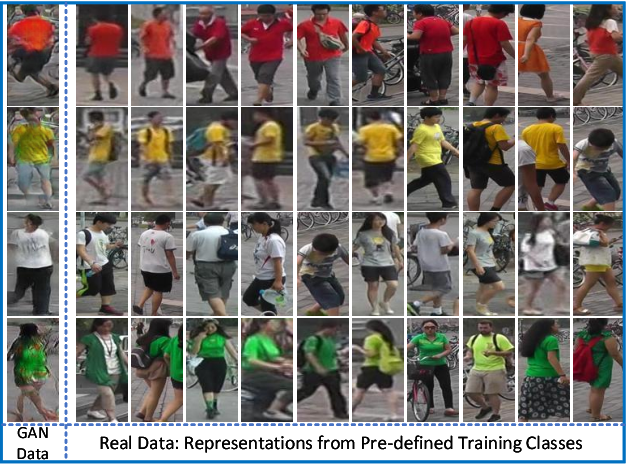 We test our proposed DarkRank method on various metric learning tasks including pedestrian re-identification, image retrieval and image clustering. The results are quite encouraging. Our method can improve over the baseline method by a large margin. Moreover, it is fully compatible with other existing methods. When combined, the performance can be further boosted. Video caption refers to generating a descriptive sentence for a specific short video clip automatically, which has achieved remarkable success recently. However, most of the existing methods focus more on visual information while ignoring the synchronized audio cues. We propose three multimodal deep fusion strategies to maximize the benefits of visual-audio resonance information. The first one explores the impact on cross-modalities feature fusion from low to high order. The second establishes the visual-audio short-term dependency by sharing weights of corresponding front-end networks. The third extends the temporal dependency to long-term through sharing multimodal memory across visual and audio modalities. Extensive experiments have validated the effectiveness of our three cross-modalities fusion strategies on two benchmark datasets, including Microsoft Research Video to Text (MSRVTT) and Microsoft Video Description (MSVD). It is worth mentioning that sharing weight can coordinate visual-audio feature fusion effectively and achieve the state-of-art performance on both BELU and METEOR metrics. Furthermore, we first propose a dynamic multimodal feature fusion framework to deal with the part modalities missing case. 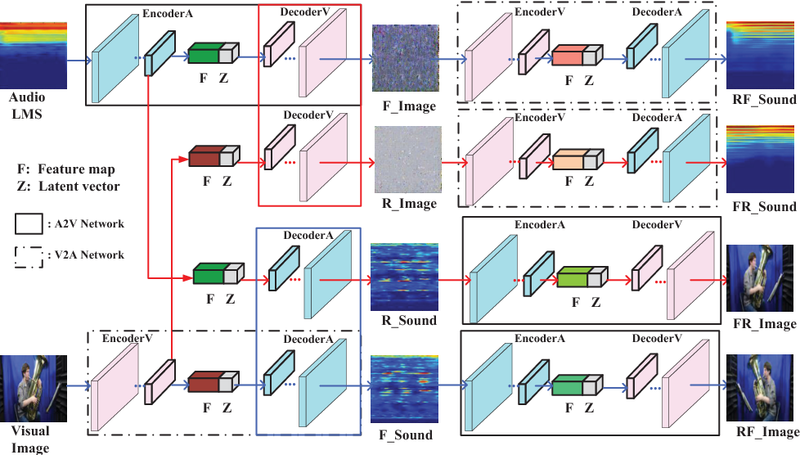 Experimental results demonstrate that even in the audio absence mode, we can still obtain comparable results with the aid of the additional audio modality inference module. Scale variation is one of the key challenges in object detection. In this work, we first present a controlled experiment to investigate the effect of receptive fields on the detection of different scale objects. Based on the findings from the exploration experiments, we propose a novel Trident Network (TridentNet) aiming to generate scale-specific feature maps with a uniform representational power. We construct a parallel multi-branch architecture in which each branch shares the same transformation parameters but with different receptive fields. Then, we propose a scale-aware training scheme to specialize each branch by sampling object instances of proper scales for training. As a bonus, a fast approximation version of TridentNet could achieve significant improvements without any additional parameters and computational cost. 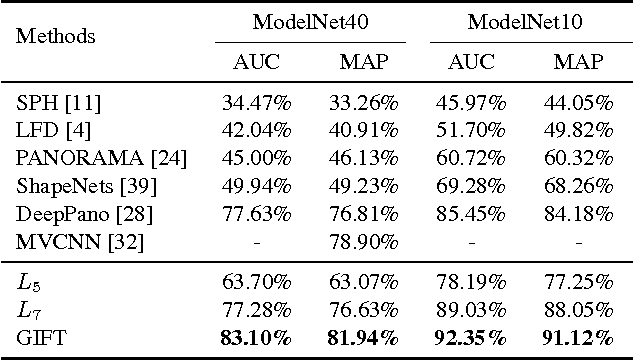 On the COCO dataset, our TridentNet with ResNet-101 backbone achieves state-of-the-art single-model results by obtaining an mAP of 48.4. Code will be made publicly available. With the surge of deep learning techniques, the field of person re-identification has witnessed rapid progress in recent years. 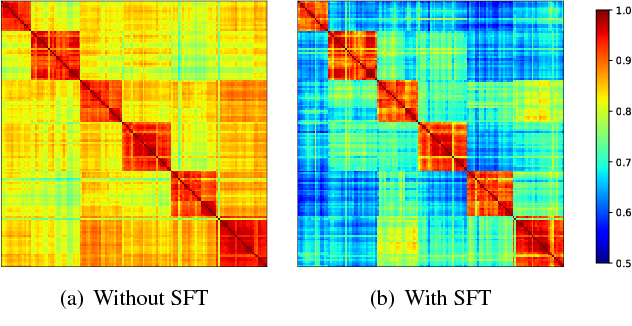 Deep learning based methods focus on learning a feature space where samples are clustered compactly according to their corresponding identities. Most existing methods rely on powerful CNNs to transform the samples individually. In contrast, we propose to consider the sample relations in the transformation. To achieve this goal, we incorporate spectral clustering technique into CNN. We derive a novel module named Spectral Feature Transformation and seamlessly integrate it into existing CNN pipeline with negligible cost,which makes our method enjoy the best of two worlds. Empirical studies show that the proposed approach outperforms previous state-of-the-art methods on four public benchmarks by a considerable margin without bells and whistles. 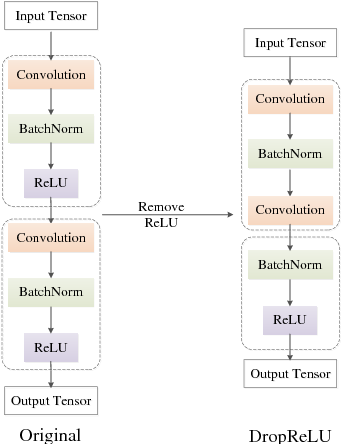 Most of convolutional neural networks share the same characteristic: each convolutional layer is followed by a nonlinear activation layer where Rectified Linear Unit (ReLU) is the most widely used. 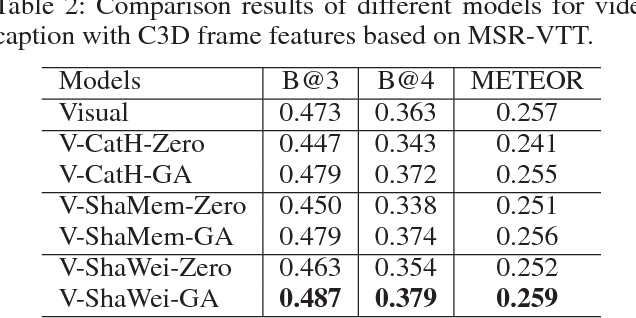 In this paper, we argue that the designed structure with the equal ratio between these two layers may not be the best choice since it could result in the poor generalization ability. Thus, we try to investigate a more suitable method on using ReLU to explore the better network architectures. 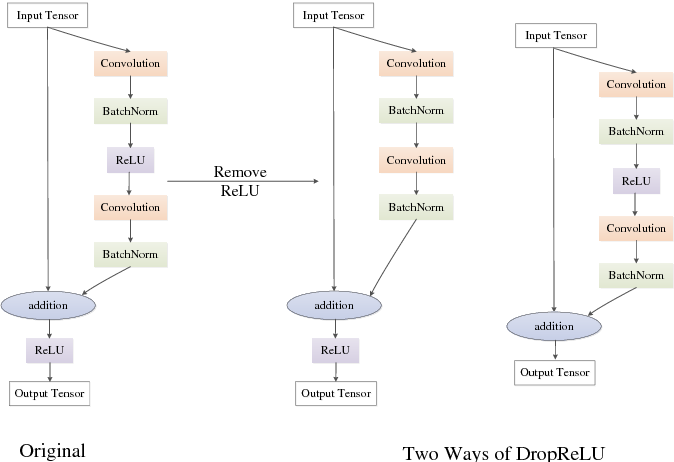 Specifically, we propose a proportional module to keep the ratio between convolution and ReLU amount to be N:M (N>M). The proportional module can be applied in almost all networks with no extra computational cost to improve the performance. Comprehensive experimental results indicate that the proposed method achieves better performance on different benchmarks with different network architectures, thus verify the superiority of our work. 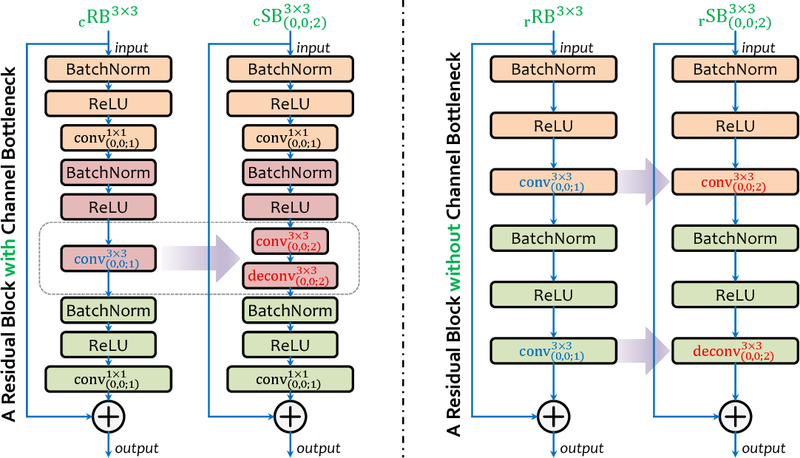 This paper presents an efficient module named spatial bottleneck for accelerating the convolutional layers in deep neural networks. The core idea is to decompose convolution into two stages, which first reduce the spatial resolution of the feature map, and then restore it to the desired size. This operation decreases the sampling density in the spatial domain, which is independent yet complementary to network acceleration approaches in the channel domain. Using different sampling rates, we can tradeoff between recognition accuracy and model complexity. 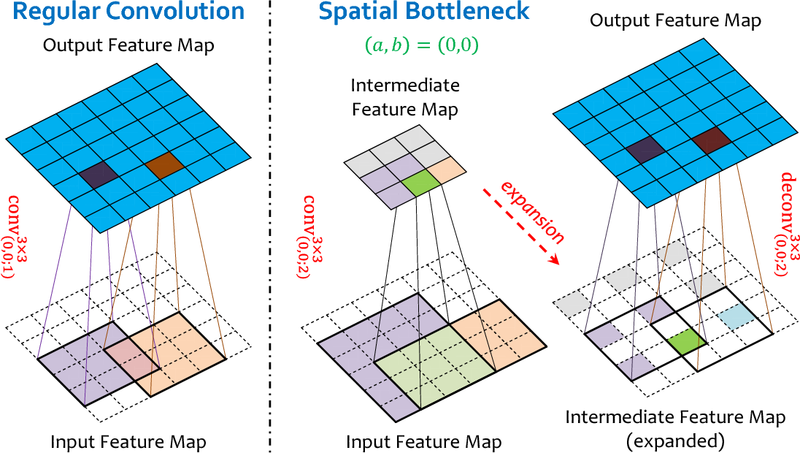 As a basic building block, spatial bottleneck can be used to replace any single convolutional layer, or the combination of two convolutional layers. We empirically verify the effectiveness of spatial bottleneck by applying it to the deep residual networks. Spatial bottleneck achieves 2x and 1.4x speedup on the regular and channel-bottlenecked residual blocks, respectively, with the accuracies retained in recognizing low-resolution images, and even improved in recognizing high-resolution images. With the fast development of effective and low-cost human skeleton capture systems, skeleton-based action recognition has attracted much attention recently. 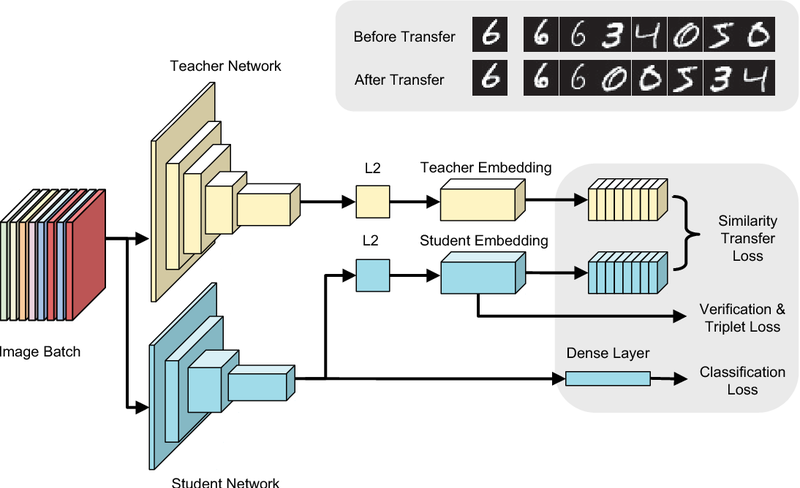 Most existing methods use Convolutional Neural Network(CNN) and Recurrent Neural Network(RNN) to extract spatio-temporal information embedded in the skeleton sequences for action recognition. However, these approaches are limited in the ability of relational modeling in a single skeleton, due to the loss of important structural information when converting the raw skeleton data to adapt to the CNN or RNN input. 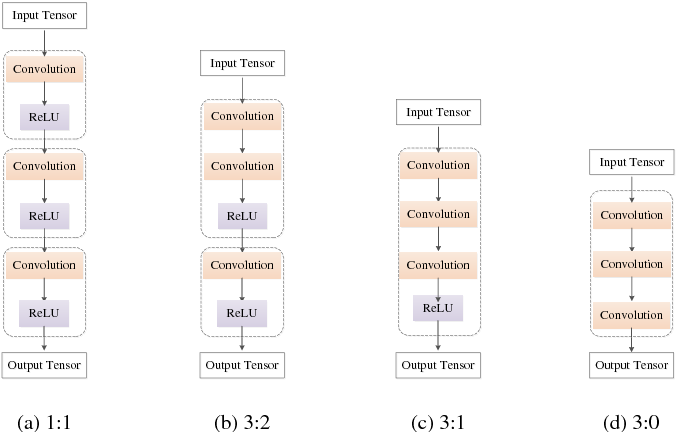 In this paper, we propose an Attentional Recurrent Relational Network-LSTM(ARRN-LSTM) to simultaneously model spatial configurations and temporal dynamics in skeletons for action recognition. 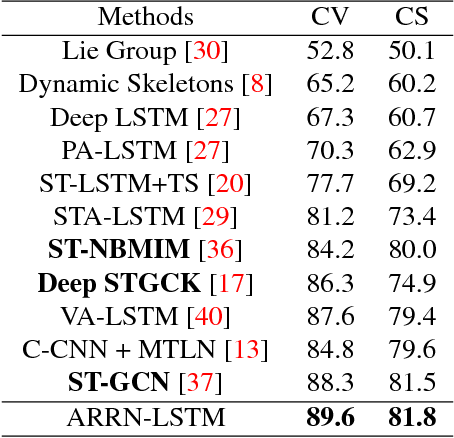 The spatial patterns embedded in a single skeleton are learned by a Recurrent Relational Network, followed by a multi-layer LSTM to extract temporal features in the skeleton sequences. To exploit the complementarity between different geometries in the skeleton for sufficient relational modeling, we design a two-stream architecture to learn the relationship among joints and explore the underlying patterns among lines simultaneously. We also introduce an adaptive attentional module for focusing on potential discriminative parts of the skeleton towards a certain action. 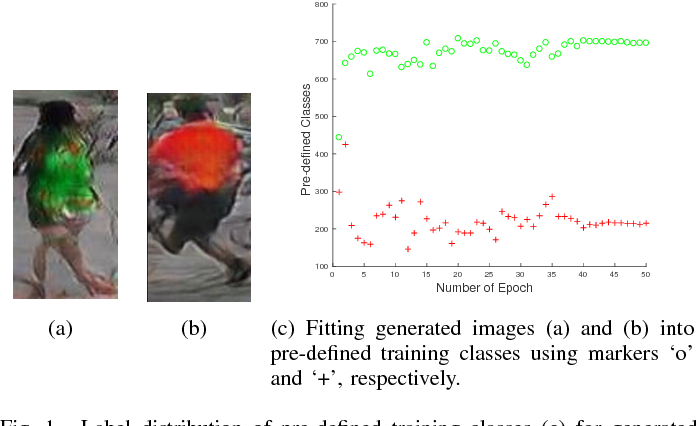 Extensive experiments are performed on several popular action recognition datasets and the results show that the proposed approach achieves competitive results with the state-of-the-art methods. Sufficient training data normally is required to train deeply learned models. However, due to the expensive manual process for labelling large number of images, the amount of available training data is always limited. To produce more data for training a deep network, Generative Adversarial Network (GAN) can be used to generate artificial sample data. However, the generated data usually does not have annotation labels. 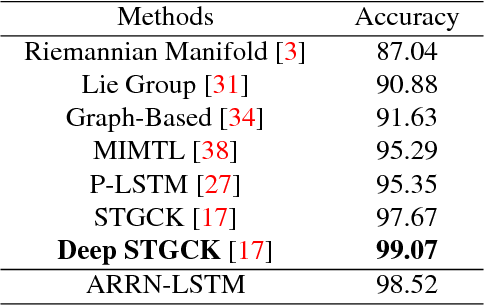 To solve this problem, in this paper, we propose a virtual label called Multi-pseudo Regularized Label (MpRL) and assign it to the generated data. 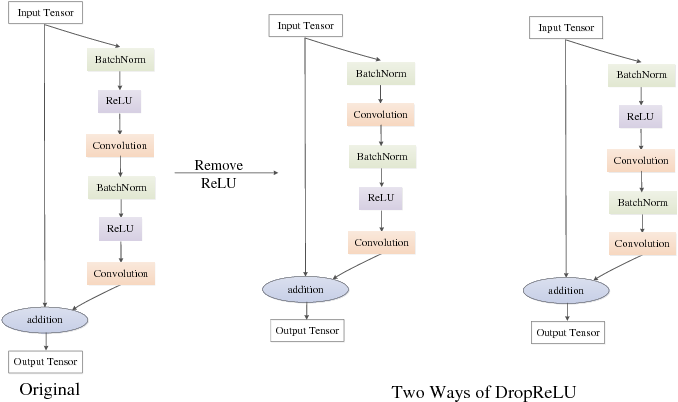 With MpRL, the generated data will be used as the supplementary of real training data to train a deep neural network in a semi-supervised learning fashion. To build the corresponding relationship between the real data and generated data, MpRL assigns each generated data a proper virtual label which reflects the likelihood of the affiliation of the generated data to pre-defined training classes in the real data domain. 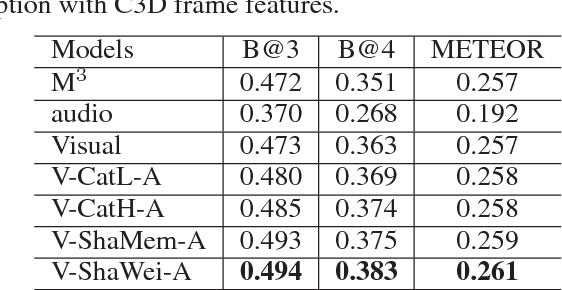 Unlike the traditional label which usually is a single integral number, the virtual label proposed in this work is a set of weight-based values each individual of which is a number in (0,1] called multi-pseudo label and reflects the degree of relation between each generated data to every pre-defined class of real data. A comprehensive evaluation is carried out by adopting two state-of-the-art convolutional neural networks (CNNs) in our experiments to verify the effectiveness of MpRL. 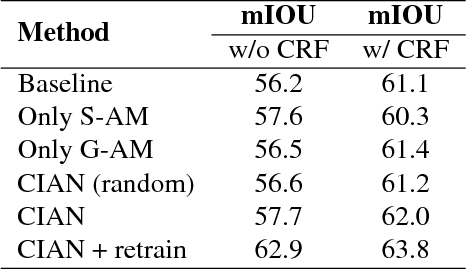 Experiments demonstrate that by assigning MpRL to generated data, we can further improve the person re-ID performance on five re-ID datasets, i.e., Market-1501, DukeMTMC-reID, CUHK03, VIPeR, and CUHK01. 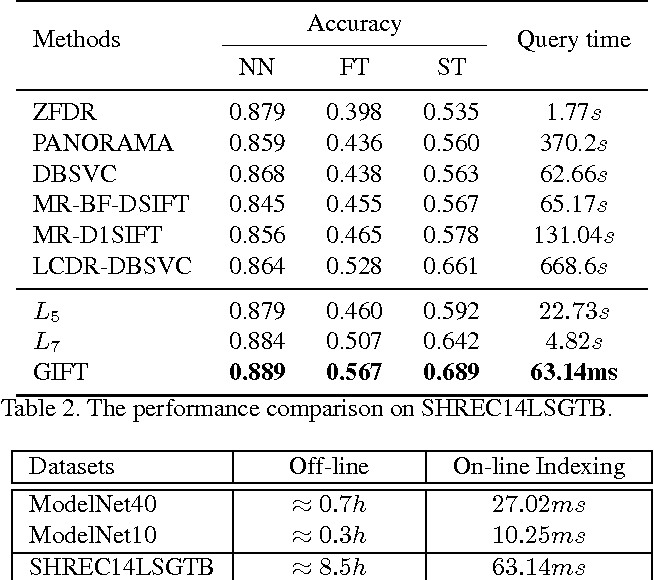 The proposed method obtains +6.29%, +6.30%, +5.58%, +5.84%, and +3.48% improvements in rank-1 accuracy over a strong CNN baseline on the five datasets respectively, and outperforms state-of-the-art methods. Person re-identification (re-ID) is a highly challenging task due to large variations of pose, viewpoint, illumination, and occlusion. 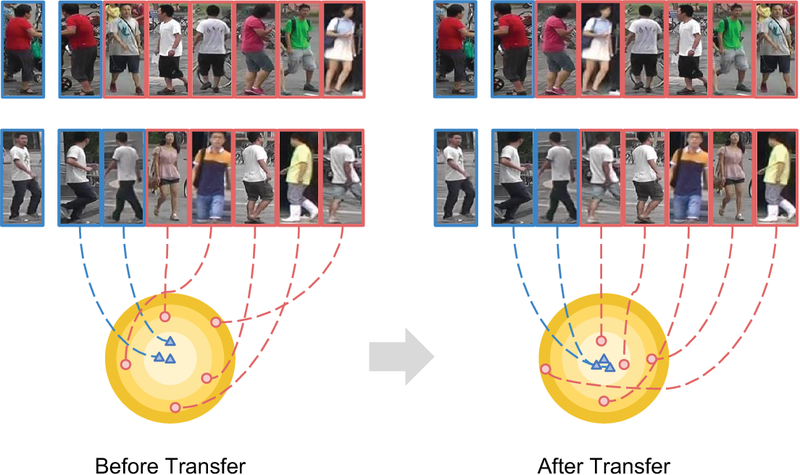 Deep metric learning provides a satisfactory solution to person re-ID by training a deep network under supervision of metric loss, e.g., triplet loss. However, the performance of deep metric learning is greatly limited by traditional sampling methods. To solve this problem, we propose a Hard-Aware Point-to-Set (HAP2S) loss with a soft hard-mining scheme. Based on the point-to-set triplet loss framework, the HAP2S loss adaptively assigns greater weights to harder samples. Several advantageous properties are observed when compared with other state-of-the-art loss functions: 1) Accuracy: HAP2S loss consistently achieves higher re-ID accuracies than other alternatives on three large-scale benchmark datasets; 2) Robustness: HAP2S loss is more robust to outliers than other losses; 3) Flexibility: HAP2S loss does not rely on a specific weight function, i.e., different instantiations of HAP2S loss are equally effective. 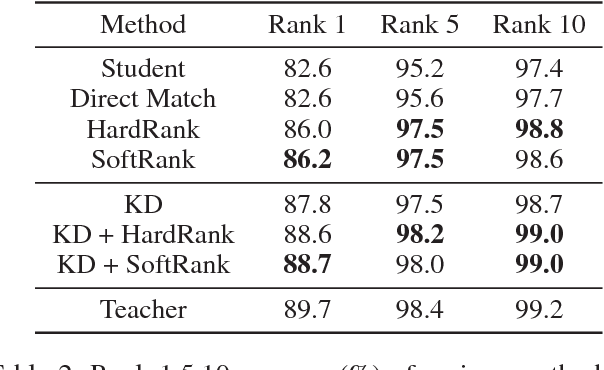 4) Generality: In addition to person re-ID, we apply the proposed method to generic deep metric learning benchmarks including CUB-200-2011 and Cars196, and also achieve state-of-the-art results. Object detection and instance recognition play a central role in many AI applications like autonomous driving, video surveillance and medical image analysis. However, training object detection models on large scale datasets remains computationally expensive and time consuming. This paper presents an efficient and open source object detection framework called SimpleDet which enables the training of state-of-the-art detection models on consumer grade hardware at large scale. SimpleDet supports up-to-date detection models with best practice. SimpleDet also supports distributed training with near linear scaling out of box. Codes, examples and documents of SimpleDet can be found at https://github.com/tusimple/simpledet .